The other day I posed a question on the forum. 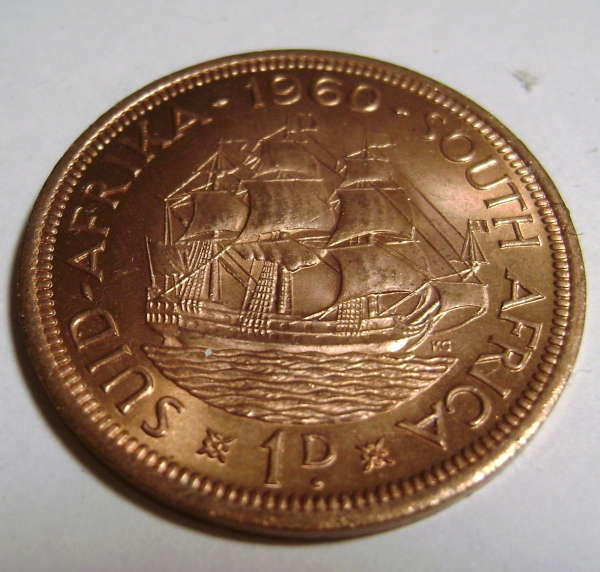 I had just uploaded a coin from South Africa with a value of one penny, however, the coin showed the abbreviation as "1 D."
After a little bit more research it turned out that "D" was actually for "denarius." The denarius was a roman coin, so why did Great Britain decide to use an abbreviation for denarius for their penny and pence coins? 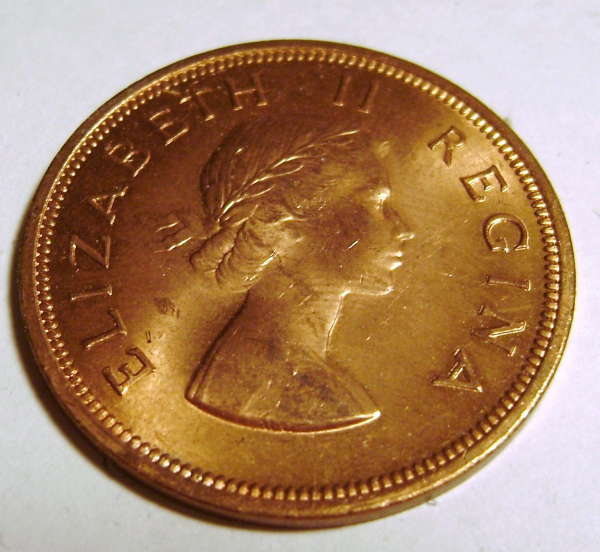 "D" is the symbol for a predecimal British penny; it was used wherever the pounds-shillings-pence currency system was used. And yes, the "D" does ultimately derive from "denarius", the ancient Roman silver coin. The link between the two is obscure, but it goes something like this. The denarius was the mainstay of the Roman economy for several hundred years, until around 200 AD when inflation and debasement began to make it worthless. With the collapse of the Roman Empire, western Europe was left without a unified, high-quality currency, or any centralised government to impose one. When the Franks had their new "Holy Roman Empire" proclaimed in 800 AD, they chose to introduce a new, fine silver coin, the best Europe had known since Roman times. They called it a "denier", French for "denarius". It was a statement, in line with the message the Franks were sending as a whole: the Roman Empire has been reborn. The weight of the new coin was 1/240th of a pound of fine silver, the ratio maintained by the later English and British pennies, at 240 to a pound. The pre-Norman petty kings of England saw how well-accepted these newfangled deniers were, so they copied the French and began issuing pennies of their own. But French and Latin were still the languages of trade and commerce, so the merchants would use the Latin name, denarius, or the French name, denier, whenever they talked about or wrote down amounts of money. The shorthand for both "denier" and "denarius" is D.
Likewise the S in "Â£sd" doesn't really stand for "shilling"; it stands for the French "sou", or Latin "solidus". The solidus was a gold coin from the late Roman and early Byzantine period, and in 800 AD would have still been circulating throughout post-Roman Europe as a trade coin. The Franks set the exchange rate at 20 solidii for one pound of silver, or 1 solidus for 12 of their new deniers. As the supply of actual solidii coins dried up soon afterwards, the solidus devolved into a "money of account" - there were still 12 deniers to a sou, just no solidus coins circulating. Thus the monetary system of 12 pennies to a shilling, 20 shillings to a pound was begun by the French, and later copied by the English. One legacy of this French origin is the symbolism: the usage of "D" rather than "P" as the symbol for the penny, as well as a deformed letter "L" for the pound sign (from French livre, Latin libra). Of course, with decimalization in Britain in 1971, the old penny became obsolete. The new penny, worth 2.4 old pennies, has the symbol "p". "With the collapse of the Roman Empire, western Europe was left without a unified, high-quality currency, or any centralised government to impose one." This statement here will be evaluated further in a future article I have been working on. Thank you again to Sap for providing an informative and fun read!